A revised charging structure for marine licences will be in place from 6 April 2014. 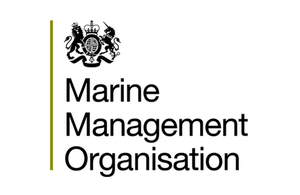 The government has published its response to a consultation on plans to change the Marine Management Organisation’s (MMO’s) charging structure for its marine licensing work. The response sets out that from 6 April 2014 the MMO’s ability to recover its costs from marine licence applications will be extended. The Marine Licensing (Application Fees) Regulations 2014 has been published and it extends the MMO’s powers under the Marine and Coastal Access 2009 and introduces a revised fees structure for marine licence applications. The new fees allow the MMO to recover 96% of costs and subsidise the remaining 4% to limit increases in fees for smaller projects. There is a new hourly rate of £94 for all projects, but there will be upper limits for fast tracked or routine projects. The MMO is writing to tier 3 applicants – applications for bespoke projects where the time needed to deal with applications may vary – whose cases will be ongoing on 6 April to advise them of the changes to fees. These applicants will see an increase from £80 an hour to the new £94 rate. Defra invited views on proposals to revise the fees structure for monitoring and varying marine licences and published a summary of responses from this consultation in February.